Microsoft's Steve Sinofsky announced on the Building Windows 8 blog Wednesday that development on Windows 8 is now complete. The final bits are being shipped to hardware OEMs, which can now do the heavy lifting of integrating the shiny new OS into new PC systems, which are slated for release starting on October 26. As Sinofsky, who is president of the Windows and Windows Live Division of Microsoft, noted in his blog, “no software project is ever really 'done. '” We'll no doubt see the usual stream of updates as the new operating system lands in the wild. Prior to the official launch date, key Microsoft partners and customers will be able to download the RTM for internal testing and use. Microsoft Developer Network Platforms (MSDN) and TechNet subscribers will be able to grab the bits directly from Microsoft on August 15. A day later, enterprise customers and Microsoft Partner Network members can access the new OS. On September 1, Microsoft volume license customers without software assurance agreements will be able to download Windows 8. While Sinofsky mentioned Windows RT, it's uncertain at this time whether the WinRT bits will also be available for download on August 15, and what platforms might be supported. The big date, of course, is October 26. That's when new PC systems and tablets will ship with Windows 8 preinstalled. Customers who buy new systems with Windows 7 installed prior to October 26 can upgrade to Windows 8 for $14.99. Existing Windows 7 customers can upgrade direct from Microsoft via the Internet for $39.99. Microsoft also announced that the Windows Store is now open for paid apps and company accounts. According to the Windows Store blog, “any qualifying business in a supported market can now submit a Metro style app for Windows 8.” Developers won't be able to upload new apps to the store until they install the RTM, however, so August 15 will be a key date for them. Microsoft is betting its future on the new operating system. 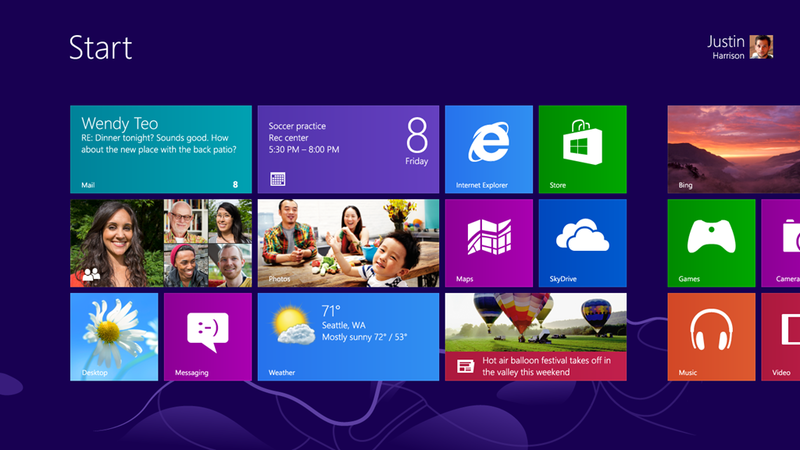 Core kernel features of Windows 8 will be common across all Microsoft platforms, including Windows RT and Windows Phone 8. The new Metro-style user interface may be a stumbling block for existing Windows users, however. In a March survey, PCWorld readers were evenly divided on the new OS, although those opinions were based on an early, unpolished build. And since Microsoft will be selling its own tablets, OEMs are less than pleased. Still, the launch of a new Microsoft OS is always a seminal event in the PC industry. Microsoft has built hundreds of new features, and claims significant performance gains over Windows 7 on current generation PCs. PCWorld will be diving into the new operating system as Windows 8 becomes available to give you the straight skinny on the most controversial version of Windows in Microsoft history.